Eastbourne Wharf to Wharf – The Wharf-to-Wharf swim has become an Eastbourne institution. It has been running for over 100 years and it is an annual event that takes place in February. The Wharf-to-Wharf swim has become an Eastbourne institution. It has been running for over 100 years and it is an annual event that takes place in February. 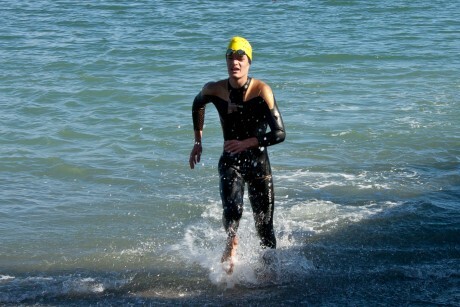 The Wharf-to-Wharf swim has become an Eastbourne institution that has been running for over 100 years. This fun, non-competitive friendly swim event is run by the Muritai Yacht Club and volunteers for the benefit of the Eastbourne community. The course begins on Days Bay beach and finishes next to the Rona Bay wharf in Eastbourne. Every person is a winner and at a distance of approximately 1.25km it is an event that all age groups can enjoy together. Entry is open to any swimmer who is confident in deep water but we do require that swimmers under the age of 12 years have parental consent and we recommend that an adult swims with a child who is in this age group. This website should answer your questions about the event, and provide you with the information you need for the day including with the entry form for you to print, but if we’ve missed anything then please send us an email. Numbers may be limited to a maximum of 200 at the discretion of the organisers. We look forward to seeing you in Eastbourne in 2019.